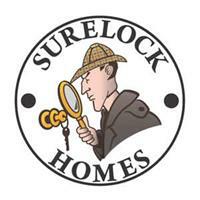 Surelock Homes - West Sussex - Locksmith, Windows/Doors/Conservatories based in Emsworth, Hampshire. Surelock Homes-West Sussex your local highly skilled locksmith service covering the whole of West Sussex with over 12 years experience in the locksmith industry you can be assured you are choosing the right company to look after all your security needs. Surelock Homes offer a full locksmith service from basic lockouts to UPVC door locks and mechanisms,residential and commercial. All our entry techniques are non-destructive plus being local we always aim to be with you in an emergency within 30 minutes of your call to us. Being in the industry for such a long time we have 99% of all locks required to complete any job on the initial visit. Surelock Homes-West Sussex also supply and fit access control systems / boarding up, frame repairs and replacement glass, we can also gain entry to most vehicles and cut keys etc. We are a local independent company and not connected to a national company thats why we are able to keep our prices to a minimum. Surelock Homes offers a polite friendly professional service everytime, all our work is fully insured and guaranteed we NEVER charge a call out fee we only charge for the work carried out to the complete satisfaction of the customer. We offer free quotations, free advice and free site visits we also have many discounts available from OAP/NHS/Charities/ Disabilities please ask when calling. Surelock Homes encourage all customers to leave feedback as this is vital to our business and shows we are doing the job right everytime. We are open 7 days a week all year round.